Whiplash, pinched nerve, herniated disk, degenerative arthritis, or simply the stress of hunching over a desk day after day. All these are common causes of neck injuries. 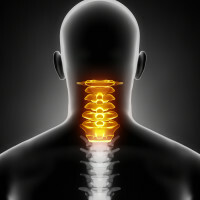 If these issues don’t resolve on their own, chronic neck pain sets in, and it can dramatically decrease quality of life. Symptoms may be managed with anti-inflammatory drugs, chiropractic, physical therapy, or cervical braces, and some patients require surgery. But there are promising regenerative medicine options for neck injuries. Among the newest methods for addressing neck injuries is a regenerative medicine protocol that involves the use of adult stem cells. At the Newport Beach Stem Cell Treatment Center, we isolate the patient’s own stem cells from fat, which is obtained during liposuction. These cells are then injected back into the patient’s body at the precise area of injury or degeneration. This three-hour outpatient procedure is performed under sterile conditions by our board-certified surgeon and experienced medical team using state-of-the-art technology. Michael Elam, MD along with The Newport Beach Stem Cell Center offers a regenerative medicine protocol for Neck Injuries. We are also involved in stem cell research and the advancement of regenerative medicine and are part of the only Investigational Review Board (IRB)-based stem cell treatment network in the United States that utilizes fat-transfer surgical technology. We have an array of ongoing IRB-approved protocols, and we provide care for patients with a wide variety of disorders that may be treated with adult stem cell-based regenerative medicine. Not all neck injuries respond well to stem cell therapy, and each patient must be assessed individually to determine the potential for optimal results from this regenerative medicine process. To learn more about Regenerative Medicine for Neck Injuries, contact us at 949-721-1113 or complete our confidential candidate application below.